You cannot know when you might be left stranded far away from home and in need of roadside assistance. 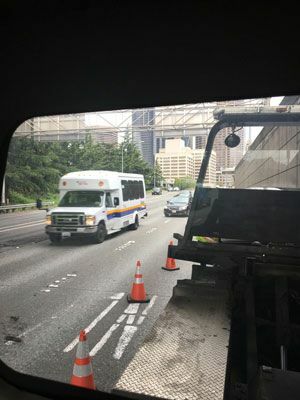 What you can and should know is the trusted name that you can rely on at such a time to give you a hand – Seattle Towing Company. Anytime you are stuck by the side of the road in emergency circumstances like these, rest easy that we will not let you be there for long. A single call from you brings our technicians quickly to your location to provide road side towing, winching or any other help that you may need. Vehicle-related problems that leave you high and dry by the roadside are unpredictable. Thankfully, our road side towing services are not so! We have our crew and tow trucks ready round-the-clock so that any call for roadside assistance and towing is met with a fast response. 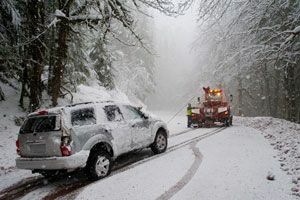 A situation where you have to call for road side towing can be inconvenient, frustrating and sometimes, even frightening. Nobody knows this better than us. As a service-oriented, customer-focused business, we do everything possible to put you at ease and bring you and your vehicle to safety. Our company offers comprehensive roadside assistance services. We can help out with almost any problem that leaves you stranded on the roadside. We are equipped to provide road side towing and other assistance for all makes/models of cars, SUVs, motorcycles, motor homes, school buses and medium-duty trucks. Moreover, we extend the roadside assistance at affordable prices. 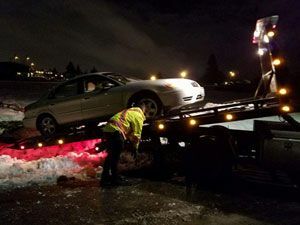 Let Seattle Towing Company takes care of all your needs for roadside towing and roadside assistance. You will be happy you chose us! Reach us at (206) 399-0366.